Attention! This is a great opportunity of NCS and AHSA children! However, we need to get an idea of numbers ASAP. If you are an interested NCS family, please contact Mr. Canney (canney@ncchurch.net) by Wednesday July 9th to let him know! Thanks! Purpose: to provide NCS and AHSA middle and high school girls an opportunity to develop volleyball skills in a Christian environment. When: beginning the week of July 15th and running to the end of August. ***Tentative parent meeting/signup July 17th at 5 pm at New Covenant. Weekly Schedule: three weeks of skill practice followed by three weeks of intramural games. Practice or games are scheduled twice a week. (tentatively Tuesday and Thursday evenings, 4:30-6pm) We are looking for enough girls to field 4 teams which will play each other. Requirements: all interested players need to have a clear physical within the past year, be entering 8th grade or above, and have an attitude appropriate for a Christian team. We desire all of the girls work hard, encourage others, and play together in a manner which displays Christlikeness. The team will place a large focus on character development and discipline. Cost: approx. $50 per girl for t-shirts, team supplies (ball, net, etc.). Any spare funds will go to “end of season” party. Each girl will need to provide navy sports/mesh shorts, sneakers, and knee pads. Location: practice location is New Covenant Church. Signup: Carol Brownell Brownell.carol@gmail.com , coordinator – ********please send your daughter’s name, age, and t-shirt size. HELP: if you have volleyball or coaching experience, we would love your help with the team! Myth #1: Classical education was fine back then, but we need modern education in a modern world. Fact: Students at New Covenant School vary in intelligence from exceptionally intelligent to below average. Many parents assume that a classical education is only accessible to gifted children. In fact, all children benefit greatly from the classical method. If you were educated in Western society prior to 1850, you were classically educated. Often, myths start from a spark of reality. Many parents observe the classroom and curriculum of New Covenant School and assume the children are abnormally bright. In reality, classical education challenges children and is uniquely able to leverage their natural abilities during different stages of childhood. In short, we help ordinary children and deliver extraordinary results by employing proven methods tested for centuries. Because the school is not equipped or funded to adequately deal with special needs children, we can not accept students with severe learning disabilities. Myth #4: Classical education is unnecessarily difficult or harsh. Fact: Children enjoy learning. They are wired for it. Assuming that a child will not be able to succeed in a challenging environment is tempting, but simply untrue. A common assumption is that a demanding curriculum results in unhappy children. As adults, learning new things can be uncomfortable. However, most children are fascinated by what they learn at New Covenant School. The excitement of children learning Latin grows as they become able to describe the world in a language that most adults do not understand. The rich and complex texture of classical literature is strangely amplified by youth. Science and the history of Western Civilization come alive for those who hunger to know about their world. For the unconvinced, a visit to New Covenant School is sure to demonstrate that our students love to learn. Classical schools maintain order in the classroom. 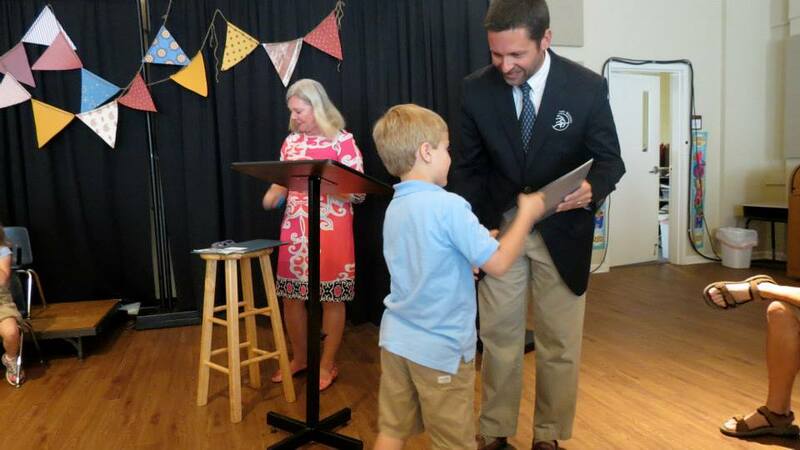 This does not translate to stoic classes where interaction is limited to an occasional downcast “yes, sir.” In fact, New Covenant School encourages extensive interaction between students and teachers. Students are not allowed to be disruptive, but they are constantly encouraged to offer observations, ask questions, interact, and make comments. The classical method encourages and succeeds at creating a stimulating and enjoyable learning environment for students.